Holiday Inn Express & Suites in Paso Robles has made giving back to their community a priority for their business. PASO ROBLES, Calif., January 30, 2018	(Newswire.com) - ​The Holiday Inn Express & Suites in Paso Robles has given back to the community once again. The hotel paid off all the overdue lunch balances for the entire Paso Robles School District. The Paso Robles community has nearly 30,000 residents with the district supporting 6,900 students enrolled in 11 school sites. This includes six elementary schools, two middle schools, one comprehensive high school, and two alternative education high schools. In November 2017, John Arnold, General Manager of the Paso Robles Holiday Inn Express & Suites, contacted the Paso Robles School District to inquire about any outstanding balances families may have in the schools’ lunch programs. Initially, the hotel intended to pay off overdue accounts at a couple of the schools within its immediate vicinity. However, after getting all the information from the district and the holidays quickly approaching, the Holiday Inn Express & Suites Paso Robles decided that they wanted to donate enough money to completely eliminate all overdue balances in the entire Paso Robles school district. This act of kindness came on the heels of another community event put together by the hotel. During a remodel of the hotel, they didn’t sell any of their furniture. What they did was instead hold three large giving events inviting their neighbors and members of the community to the property to allow them to take whatever furniture they needed. Styler notes that it gave him and his entire hotel staff great pleasure to meet their neighbors and share what they had with them. To learn more about the hotel and see the property, visit us at HixPaso.com. Nestled in the Paso Robles Wine Country, Holiday Inn Express Hotel & Suites is a haven on California’s Central Coast, where natural beauty and charm inspire endless ways to unwind and explore. Located across from the Paso Robles Event Center, the hotel is less than a mile from the charming restaurants and boutiques of downtown. The Holiday Inn Express & Suites, is independently owned and operated by Zodiac Investments, Inc., a local company doing business in the San Luis Obispo County since 1978. IHG® (InterContinental Hotels Group) is a global organization with a broad portfolio of hotel brands, including InterContinental® Hotels & Resorts, Kimpton® Hotels & Restaurants, Hotel Indigo®, EVEN® Hotels, HUALUXE® Hotels and Resorts, Crowne Plaza® Hotels & Resorts, Holiday Inn®, Holiday Inn Express®, Holiday Inn Club Vacations®, Holiday Inn Resort®, avid™ hotels, Staybridge Suites® and Candlewood Suites®. 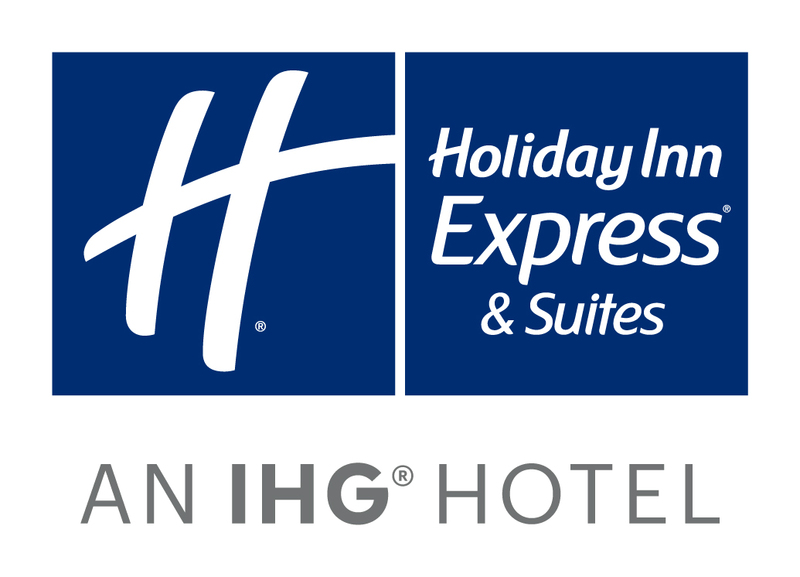 Holiday Inn Express® hotels are modern hotels for value-oriented travelers. Fresh, clean and uncomplicated, Holiday Inn Express hotels offer competitive rates for both business and leisure travelers. Guests Stay Smart® at Holiday Inn Express hotels where they enjoy a free hot Express Start™ breakfast bar with new healthier offerings, free high-speed Internet access and free local phone calls (U.S. and Canada only). There are currently 2,572 Holiday Inn Express hotel locations around the globe. 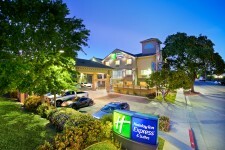 For more information about Holiday Inn Express hotels or to book reservations, visit www.holidayinnexpress.com. Find us on Twitter at http://www.twitter.com/hiexpress or Facebook at www.Facebook.com/holidayinnexpress. The Holiday Inn Express & Suites is located in the heart Paso Robles Wine Country. When visiting you may notice there has been a lot of changes as we have completed our massive renovation this past April. Check-In to Something New! Holiday Inn Express & Suites Paso Robles earns its place among the top 2% of hotels in the Americas. The Holiday Inn Express & Suites is excited to announce a new modern-rustic design and high-tech updates to the entire property.